It’s Hangover Thursday, how’s your head? My local bar has had a pretty good selection of stouts and porters lately which is always a good thing for me. It’s odd because that isn’t what you normally see in May, but I’m not complaining. I’ve been drinking a lot of Session Black at the house, it’s one of my favorites as the temperature here starts to climb. Take a close look at the amazing bottle opening in the video above. Seriously, watch that device and remember it because we will see it again. I mean I don’t usually have the need to open a case of beer all at once, but some people do. As the video spreads across the internet you know someone is going to try to capitalize on it. A version of this device will be on sale soon. Hell it might be on Kickstarter already. I said that my local bar was stocking a lot of stouts lately. I was happy to see Langunitas’ Espresso Stout; honestly I wish I had one of those in front of me right now. 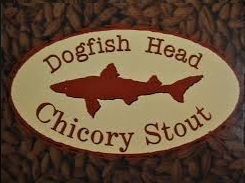 Despite being weary of the name I also tried Dogfish Head’s Chicory Stout. The licorice taste wasn’t too strong, but it isn’t something I will order again. I like a lot of Dogfish Head’s beers but I wasn’t a fan of this one.